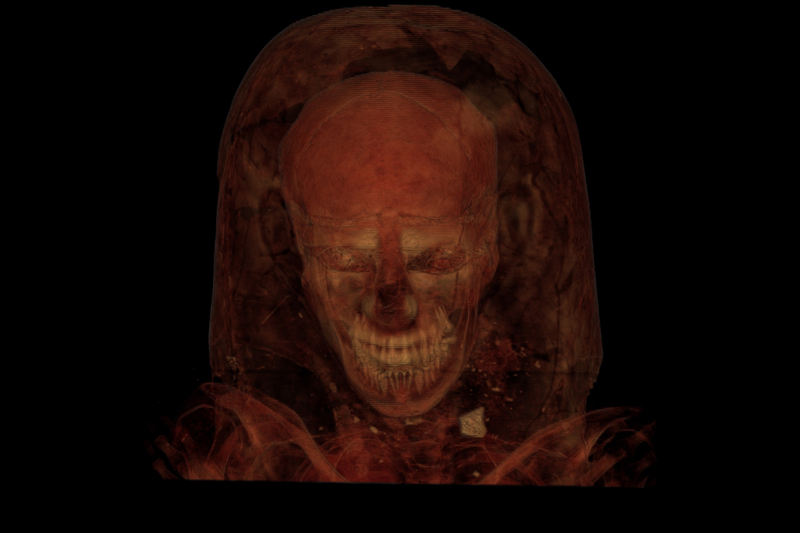 CT scanning of these two beautifully-gilded and decorated mummies of Ptolemaic Egypt revealed a young sister and brother. Both are portrayed wearing a mix of Greek fashions (like the golden girl’s curls) and Egyptian fashions. The Science Museum of Minnesota’s “Mummies: New Secrets from the Tombs” exhibit—developed by the Field Museum of Chicago— uses CT scans and 3-D printing to display 20 mummies for the first time. From Peru and Egypt, some of the mummified bodies have been lying in repose for as long as 5,000 years. For more information and to buy tickets, click here. Below is a preview of the exhibit.